CONTCHART GmbH Co. KG is a modern and future-focused company specialized in Commercial Chartering Management of container vessels in the size of 700 to 6,500 TEU. Our fleet of vessels is constantly growing and is currently approaching 117 units. 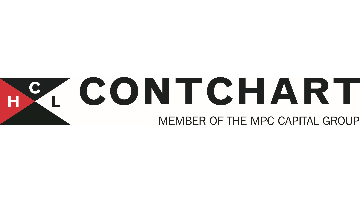 Contchart is a member of the MPC Capital Group, an internationally focused asset and investment manager providing superior niche investment solutions in real estate, infrastructure and shipping. For our Container Vessel Chartering Team in our Hamburg office we are currently searching for a Chartering Manager (f/m/d). If you want to face new challenges with us, please send your application documents including your salary expectation and your earliest possible starting date to Marie-Isabel Lewrenz. We look forward to receiving your documents.